You would have heard/experienced that in Pakistan to get things done, you need to go through long queues. Ok, getting in a queue and getting things done after some wait no so bad, because ultimately it would be your turn and you will get free. But unfortunately this is only true for Private sector Organizations etc in Pakistan. When you have to get something done from government offices, for just single simple thing, you have to go through long queues, not one not two but some times as more as ten also you must have that specific temperament and patience to get things done from Pakistani government offices. Let me share my two recent experiences. This Monday I decided get life time token for my car, this token or tax, whatever you call it, was long due, so I decided get it done. 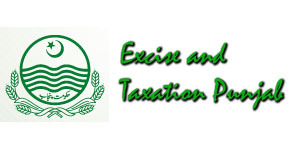 I reached excise and taxation office Rawalpindi, now after entering they didn’t had any people or help desk who/which could guide you about the process. There are random small room with long queues, not even queues in fact, many people and everyone trying to get things done first. After entering its like chaos, everyone have their own problem, to get your stuff done you need to first find people who have similar issue like you then you may find some guidance. I tried few, but no success, then I decided to approach a guard who was already telling someone something, through it was not in his job description apparently but he directed me to window. Luckily that window (lets call it window A, as we will come back here many times) had very few people waiting in queue but as I expected the person serving at that window A was super slow, after all he was government employee and some people were visiting him from inner side of room, he was also busy talking on phone and giving services to some exclusive people from inner side, which is biggest irony of Pakistani offices. However, after waiting for several minutes in queue it was my turn. When I told the person that I have to get token done, he told me to go to photocopier, get a form and fill it. Nothing more than that. So I reached the copier and asked him for form, he asked my name and instead of giving me a form told another person to fill and give a form, I decided otherwise, but when i looked at form it was as vague as they come with no instructions and several grids with no labels. Actually, the old payed tax had to be entered in those grids, in theory they will add up and get minus from ten thousand and you will have to pay rest amount, that is just the theory, things turned out different, but we will come to that later. So person at once started tearing apart the token receipts from the registration book, as I intervened, he told these have to be attached to this form, which by the way was not mentioned on the form. So I let him continue with the filling of form, he then started filling 540 instead of 1490, from the receipts, at that point I was told that only this portion of amount will be subtracted from to be payed 10000 instead of the payed 1490 each year. Then he skipped some of the years and their amount, on asking I was told, as that red receipt is not there, its amount will not be counted as payed, but registration book was clearly telling the story with all those stamps and signatures of each year with the amounts payed. It was strange but I did let it go and continued to the process. Where by my calculation I was expecting that I would have payed more than 7000 and with minor payment of couple of thousands, I will be done, the copier ended up with something like 2300 already paid, then he sent me to room 2B. No this time I am not making it up like the previous “window A”, room 2B really existed, although it was not clear from where they started the counting, as room 2B was in front of main entrance. By the way, room 2B was another kind of horror story, it was small room which looked more like a cell of a prison as it couldn’t have bigger than 5 x 4 feet. It had two empty chairs for employees, one table and remaining capacity was full with the people who were anxious and clue less about where these employees are. About twice many people were waiting outside of room. These unknown absent souls of 2B had to re access the amount to be paid and had to send us further on to the process. Luckily for me, after couple of tens of minutes the people started to scatter, meanwhile a person (an employee) came and said, O lemme search for these people of this room, why are they absent from this room and there is so much backlog to process. Then he gone away, meanwhile one person among the waiting ones told that he himself sits in this room, first I didn’t believed but after a while I saw he was doing whatever he had to do in that room, by standing too far away and signing a registration book by putting it on the boot of a Toyota corolla parked inside office. But thankfully he soon returned to his room, he started the assessment and signing, he was slow at first but I guess like a car he heated up in a while and started to do things faster. Again there was no line everyone was jumping on each other after some further wait he had written three amounts with red pen on my form and signed and send me back to that same “window A” where I started. Now another interesting part of story begins here, the guy in 2B had written three amounts, firstly, a figure of over 7290 in front of payment to be done column, then two other amounts of first 3000 and then 800 in front of columns marked as tax already paid with two different tax types, the types I don’t remember at the moment. So I looked into wallet, as I was come for expected payment of about over couple of thousands, somehow I produced those over 7290 to be payed amount from my wallet without need to go to bank and approached to “window A” again third time. As my turn came in several tens of minutes after making some entries to computer he asked 11090 Rs. from me. On asking he I was told the two amounts labeled as already payed have in fact to be paid, on asking why they are labeled as paid on form, person had no satisfactory answer about weather it may be a misprinting or something. Same was happening with others, falling short of available cash in wallet I asked for debit card acceptance, he smiled and told they don’t have a way to accept a visa or any other debit or credit card. That meant bringing money from ATM, waiting in window A queue fourth time. I did all of that. On payment he stamped my car’s registration book with “Life time token paid”, he asked to get a signature from room 2B, that also meant wasting some more time but I did that and got signature. Now the book was stamped and signatures, dues paid, but there was no mention of sticker yet, which number field was left empty to be filled later on form so, I thought at window A now I will finally be given a sticker, which would be token like red receipt. So I waited again fifth time in window A queue and on giving registration book to person, he told me you are done, I mentioned about sticker number stuff on form, again he told that for yearly token, but form was not really for yearly token. But with the good news of process achieved I headed back to my office. Remember that second experience I mentioned above in start, well after telling this first one, I have no further stamina to write it here, but I will make up for that, I am marking this one as part 1. I will mention that as part two, that means another horror story tomorrow. Now, definitely have to come up with some conclusions from this story, so that we can give a point to this post I am coming up with following. There was no guidance/help desk at excise office, this cost me lots of time :-), this needs to be improved in all government offices. Processes are to be made simple, I mean if you could make that room 2b guy and “window A” guy together, I would have stand in one queue only once or twice instead of those time wasting whooping seven times. When your system is computerized, everything finally have to go to computer, why you need guy 2B to make manual assessment, just optimize your software and remove guy from room 2B. By the way, I even saw guy from room 2B making wrong (lower than actual) calculations and asking from person, is he happy, only because either the person was an agent, or he was a connection. If you computerize this formula then that guy 2B corruption will end here. Having one security guard at main gate only wont work, there is lack of education/literacy in the Pakistani masses, with time they will learn to make queues, until then you could have few people who could just keep telling about make a queue, legendary Urdu sentence “Line main aayen, warna kaam nai hoga”, masses here in Pakistan however are civilized enough that they will make perfect queues when they are told to do that. Then there are forms, those contain no instructions, either make them more clearer or remove the need to fill them. Also it would be great if government adopts/supports the modern payment methods like debit/credit cards along with the conventional ones. Above all, it would have really great scenario, if I would have had to stand in single queue, as all previous record is computerized, on reaching my turn person would have checked old record, could have auto generate an invoice, would have either get payment or would have sent to cashier and could have stamped my book. For this very simple thing I wasted 6 hours at excise office, this was rather thing of just 20 minutes. Now I am satisfied, with all that my time wasted and with this post we concluded a solution, hope this reaches to someone in power and they could do something about it. I would definitely come with part two tomorrow, the story about Driving license renewal that was done very next day after this one, Tuesday, we will also conclude that one as well positively, to get something out of that experience. As this does not happened to just me, this is happening to millions of Pakistanis in different government offices daily. Do share your opinions via comments below, also join/like/follow us on Facebook and twitter from options on right side of this page to stay informed. 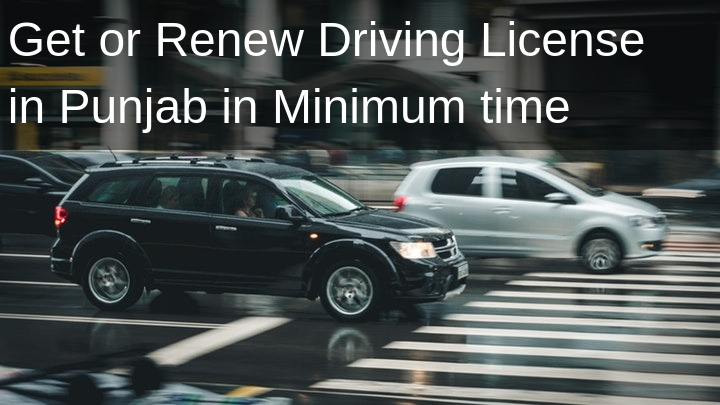 Update: Here is promised part 2 of the story, which is about another similar experience, which was Renewal of driving license along with the difficulties and positive conclusion about how the process could be super simplified.